Why Hire the Car Injury Attorneys At Montag law Office? The auto accident lawyer Montag Law Office in Omaha Nebraska handles all auto injury claims on a contingent fee basis. That means there is no charge for my services unless we win the case. You do not need to pay an up-front fee to have me start working on your case. Being injured in an accident and having to go through the whole process of treating your injuries, is a very stressful process. Let Steven A. Montag (your Omaha Car Injury Attorney) reduce that stress by representing you and managing your claim. Having a tough experienced advocate on your side can give you the confidence that you can make a successful claim and that you will not have to worry about what to do. I take calls seven days a week for free consultations. Evening and weekend calls are welcome. Following are things that you should be paid for. Medical Expenses – All Hospital and doctor’s bills should be paid in full. Lost Wages – if you lost income after an accident or the accident affected your ability to make money in the future, you deserve to be compensated. Future Medical Expenses – It is usually best to finish all of your medical treatment before you complete an injury claim. However, if you have a long-term need for medical care it may be necessary to finish your claim before you are done with medical care. In that situation, the need for future medical expenses needs to be completely documented and you should be compensated for it. Pain and Suffering – Although there is no exact formula to determine the correct value for your pain and suffering that applies to all situations, you deserve the best compensation you can get. If you could choose not to have been in an accident in the first place that would usually be better than having an injury and getting paid for it later. This is a hard way to make money and injury victims should never feel guilty about seeking just compensation and doing as well as possible. Insurance companies do everything they can to discredit your claim and undervalue your loss. The adjuster cannot be expected to treat you fairly. They work for the insurance company, not for you. They will use any information they get about you against you. That means you should be wary of talking to an insurance adjuster. Whenever you talk to an adjuster you should expect the call to be recorded. Anything you say can be used as evidence against you later in court. 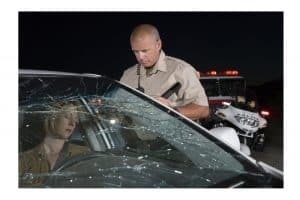 An auto accident lawyer can talk about the same issues without having to worry about making admissions that will be used as evidence against you later. You should not put new pictures on social media until the case is completed. A picture of your smiling face can be misconstrued to say that you must be feeling good. That is not really fair because a painful car accident injury does not normally mean that you will be constantly depressed or moping around and frowning all of the time. All motor vehicle accident injury claims involve negligence. Negligence occurs whenever a driver’s mistake or failure to adhere to traffic regulations causes an accident and damage to property or an injury to another person. If you have been injured by another driver’s negligence, your Omaha car accident attorney at Montag Law Office can help. The Montag Law Office can guide you successfully through the entire claim process. When you call to get a free initial consultation we can evaluate your situation and let you know if you have a strong case. Steven Montag takes calls seven days a week. Evening and Weekend calls are welcome. After we have been retained to represent you we conduct an initial investigation. We can help with many of the problems that you will have to deal with. You may need a rental car and you will probably need to arrange to have your car repaired or replaced. You will also have to determine what medical treatment you will need and how to get the care you need to recover from your injuries. My office corresponds with doctors and obtains the information needed to evaluate your injury claim. When the time comes to finish your claim I will help you obtain a fair settlement or take your case to court if necessary. If your accident happened in Omaha, Lincoln or anywhere in Nebraska, we can help. Driving is inherently dangerous but it has become a necessary part of our lives. I used to think that the worst time of the year to be in an accident would be during the icy Nebraska winters. Although weather and road conditions can contribute to causing traffic accidents, the biggest cause is normally human error or a driver’s negligence. Even if you are a very good driver, the other drivers around you may not be so careful.